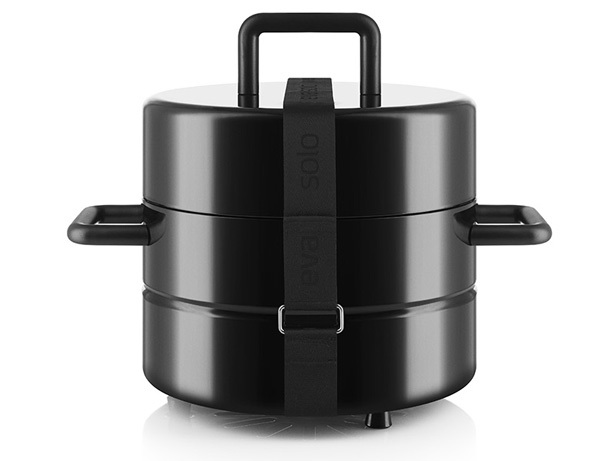 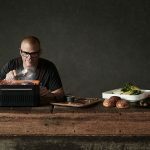 Eva Solo To Go Grill, it’s a portable appliance where you can enjoy charcoal grill anytime, anywhere. 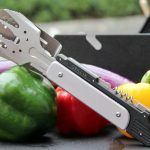 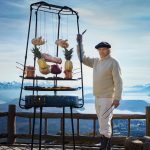 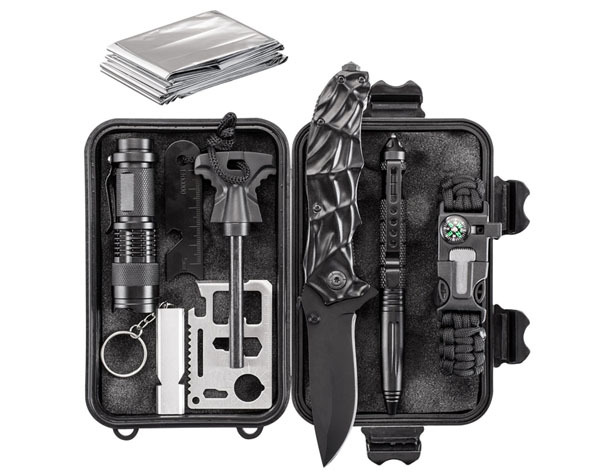 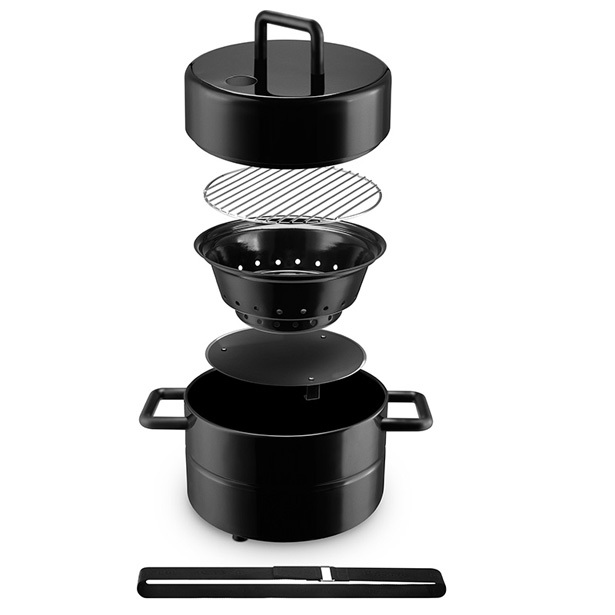 Whether you want to setup on balcony, in the woods, or even on the beach, you can count on this cooking device. 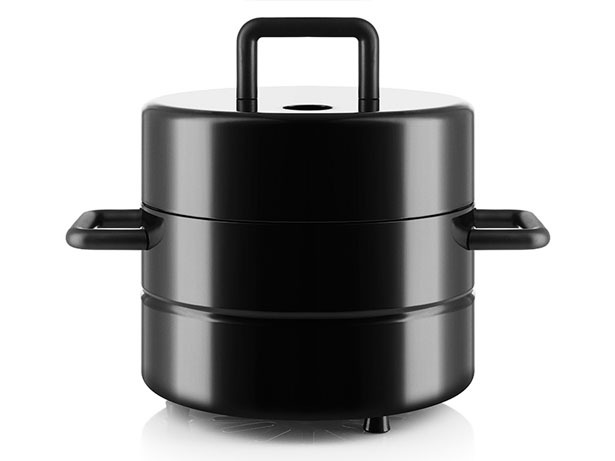 The compact size is perfect for small dishes such as vegetables, prawns on skewers, a couple of steaks, etc. 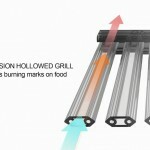 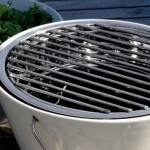 You can easily move it around while grilling, the handles stay cool even when the grill is super hot. 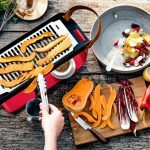 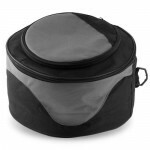 The practical nylon strap holds all parts together, making it easy to store, the top lid doubles as a dome cover when you lift the grill. 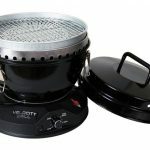 To Go Grill is made of enameled steel with silicon handles, the grid is constructed with chromium plated iron, it’s easy to clean, you can also empty the ash out of coal bucket when you’re done. 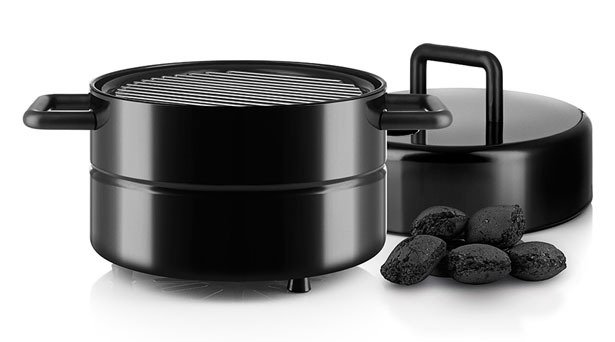 Both the coal bucket and the grid are dishwasher safe for added convenience. 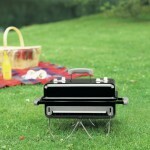 Tagged as charcoal grill, coal bucket, Eva Solo, Grill Eva Solo.